Atlas is a pioneering figure in film and video; for over four decades he has stretched the limits of his medium, forging new territory in a far-reaching range of genres, stylistic approaches, and techniques. 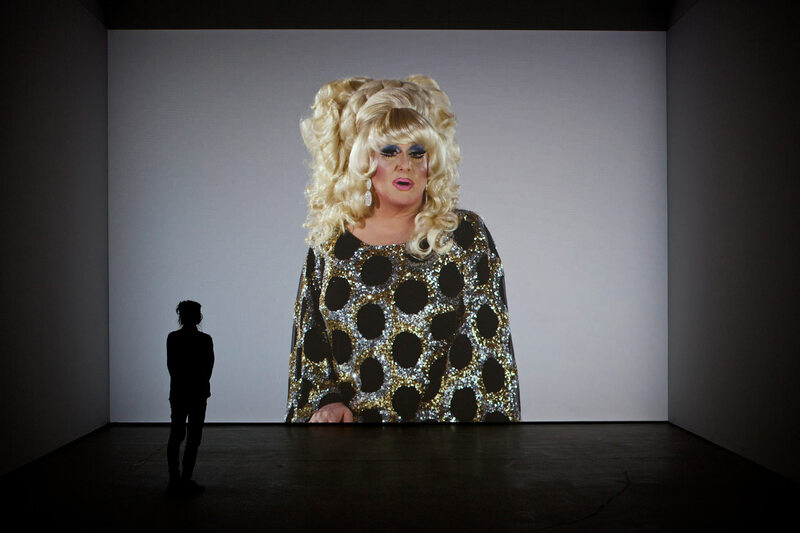 Throughout his production, Atlas has a history of being rigorous involved fostering collaborative relationships, and working intimately with such significant artists and performers as Leigh Bowery, Michael Clark, Douglas Dunn, Marina Abramovic, Yvonne Rainer, Mika Tajima/ New Humans, Antony and the Johnsons, and most notably Merce Cunningham, with whom he worked closely from the early 1970s until the choreographer’s death in 2009. 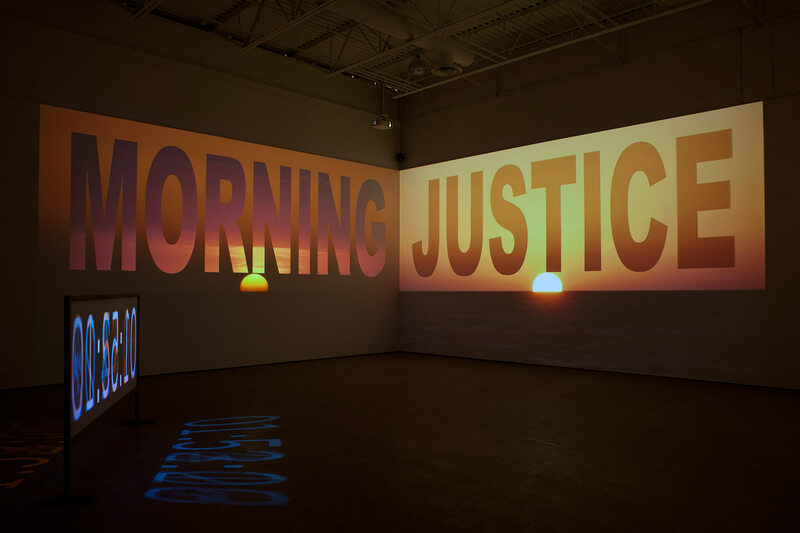 The Waning of Justice includes all new work made by the artist for Luhring Augistine Gallery earlier this winter seen here for the first time outside of NY. 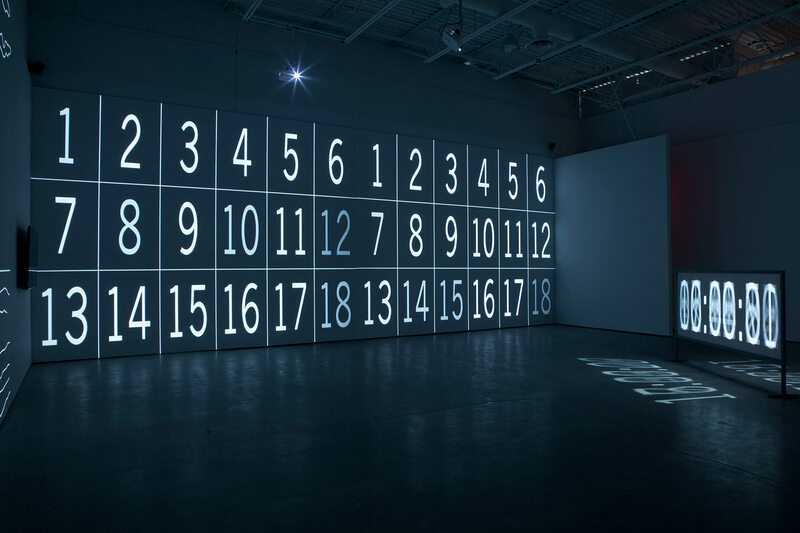 Several autonomous video works are synchronized by imagery, duration, and soundtrack to create a unified visual experience. 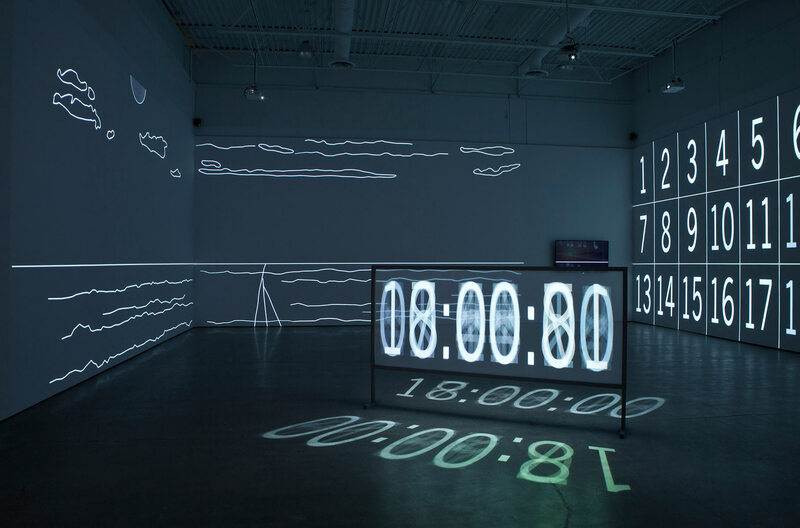 The videos in the exhibition feature sunsets shot by Atlas in Florida while at the Rauschenberg Residency; in varying pieces, the sunsets are interwoven with found footage, graphic effects, and other elements. 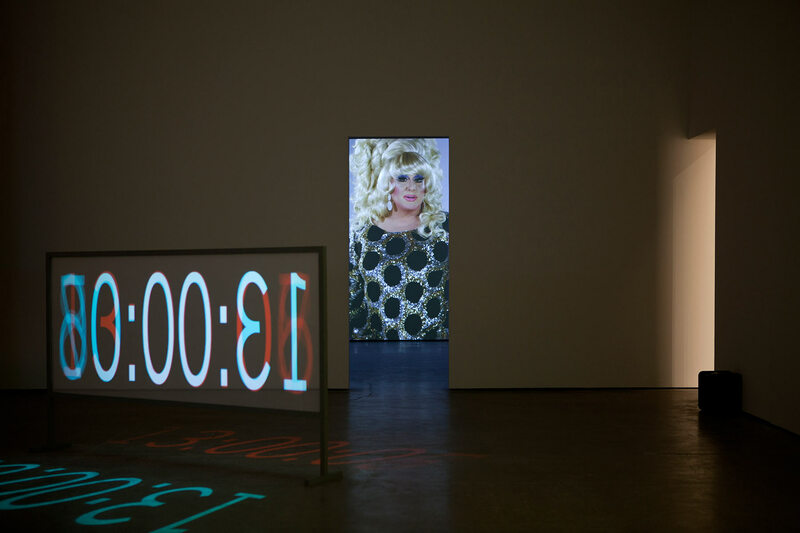 Charles Atlas was born in St. Louis, MO in 1949; he has lived and worked in New York City since the early 1970s. His work has been exhibited at and is in the permanent collections of such institutions as Tate Modern, London; the Museum of Modern Art, New York; the Centre Pompidou, Paris; the Institute of Contemporary Art/Boston; Hamburger Bahnhof – Museum für Gegenwart, Berlin; the Whitney Museum of American Art, New York; and the New Museum, New York, among many others. In January 2015, Prestel Publishing released Charles Atlas, the first major publication on Atlas’ work, featuring writings by Stuart Comer, Douglas Crimp, Douglas Dunn, Johanna Fateman, and Lia Gangitano.